New Zealand singer Anika Moa joined with Women’s Refuge last week for a special charity auction. 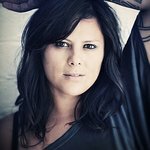 The singer put up for auction a Life Pass, which included 2 tickets to every Anika Moa show for the rest of her career, a signed guitar, a copy of every album she has and ever will release, and an assortment of merchandise. New Zealand’s Women’s Refuges provide 24 hour support, advocacy and accommodation for women and their children experiencing family violence. “We are so honoured to have Anika’s support,” said Women’s Refuge Chief Executive Heather Henare. "She is so vibrant and talented and has a wide appeal across New Zealand which will really help us get our message out. She decided to support our Appeal because she believes violence, abuse, threats, taunts, anger and hate are not things women or children should have to put up with.